Open Source refers to a collaborative nature of development. Open source software for example has free, public code which can be downloaded, modified and redistributed by a multiple developers. With regards to 3D printing, there is a wide variety of open source software for 3D that you can use to make and modify 3D models. Open source software as we know it began with the launch of the free software movement in 1983. With the publication of the GNU manifesto and the launch of the GNU project, the goal was to develop a computer operating system that was free from constraints on its source code. Soon to follow was Linux in 1991. The label "open source" came sometime later after Netscape released the source code for Navigator internet browser in 1998. The vast majority of programming languages have been open source since the 1990's, including Python and Ruby. The trend continues to today, with notable open-source Andriod smartphone operating system and the hugely popular software version control system called Git. The most notable open source project in 3D printing history is the RepRap project. 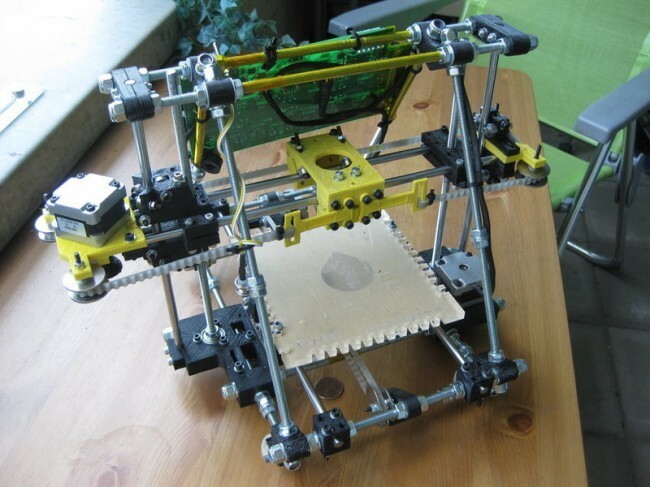 RepRap is the first general-purpose self-replicating manufacturing machine. As an open source project, anyone in the RepRap community can edit and contribute to the development of the project, while all designs and software are free to use. The RepRap website provides an extensive list of open-source and free to use software for CAD modelling and STL handling. The major advantage of open-source technology is that it's free to use and typically has a strong community base around it. MakerBot, one of the most popular desktop 3D printers on the market, was born out of the RepRap project and a Vienna hackerspace called Metalab. The initial product, the Cupcake CNC, was an open source product and many of the improvement suggestions came from the RepRap community. As MakerBot matured and released newer models, the open-source roots of the company dissipated with the development of proprietary technology, angering many of the RepRap community members. Check out Blender or OpenSCAD for open-source CAD software, and MeshLab or Cura for open source STL software. You can also checkout your nearest hackerspace or FabLab to learn more and become part of the maker community. For an introductory look into the types of projects enabled by open source projects and the maker mentality, you can also attend a Maker Faire event! Try an Open Source Program! Have an idea for a 3D model? Get started with one of the open source CAD programs! Visit our tutorials page to learn how to get started with designing a model 3D printing.